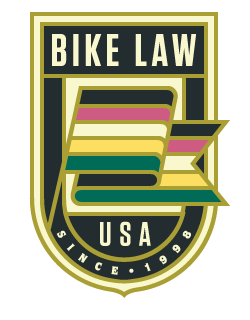 Georgia Bike Law attorneys Ken Rosskopf and Bruce Hagen are avid bikers and passionate legal advocates for cyclists in Decatur or DeKalb County. If you need help after a Decatur bike accident, contact Bruce and Ken through the Bicycle Accident Report Form. It only takes a minute to complete. Bike rides: Sadlebred.com and Decaturbikes.com both list group rides in Decatur. You can find lots of group rides of various skills levels throughout the week. Bike shops include Bicycle South and Decatur Bikes, as well as Haute Bicycle, which sells electric and cargo bikes. The official scoop on biking in Decatur: Decatur works hard to promote biking. On the city's biking page, you'll find a Decatur Bike Map, a list of monthly bike rides. “Decatur is probably the most friendly bike community in the state, and it has an ambitious complete streets plan in the works with more and more bike / ped options. Notably, the city has one of the highest national rates of kids riding their bicycles to school. According to the League of American Bicyclists site, the percentage of Decatur schools offering bicycling education is more than 90 percent at the elementary and middle school level." "There’s a great bike trail from Decatur to Stone Mountain. It’s a good path that runs through DeKalb County and you can take several different paths once you get to the park. The city has a link to the route as well." "Also, one of the fun rides in Decatur is the Ride with Joey. Joey happens to be Decatur-native and BMC ProTour cyclist, Joey Rosskopf. He’s the son of Ken! The ride features craft beer tastings and Grand Tour stories from Joey, with registration fees going to support safe cycling in Atlanta!" "Decatur has a department, the Decatur Active Living Division, that puts on occasional bike rides. The city boasts of an increase in cyclists because of “the addition of bike lanes and sharrows, bike valet parking at major events, bike safety training and bike racks at the library. So they are very aware of bicycle transportation. Also, there are some great restaurants, and for coffee we like Java Monkey."